It's 11pm as I write this and I've got work tomorrow, and I am REALLY regretting the two vanilla lattes I just drank in the past two hours. I don't think my brain has -ever- felt this switched on. 6. And can I say my Instagram is looking better than ever? 9. And because of this community, I have come into contact with some tremendous individuals who have truly helped me on my journey. 10. In return, I have had the pleasure and privilege of encouraging some of my favourite creative influencers, like Jemma from Dorkface! Do you blog? What do you love about it? If you related to this post, you'll definitely relate to "15 Thoughts Every Blogger Has"
I started my blog in January and I've been loving the creative side of it. I love writing and I'm definitely growing my skills in that area. I also love photography so I enjoy taking pictures and editing them. My Instagram feed is really evolving and I'm loving that. And I also love connecting with fellow bloggers. I'm in some groups with amazing ladies that really inspire me to do better everyday. Those are my favorite parts of blogging. That's so encouraging and beautiful, Kasia. I am so pleased to hear that you've been having such a wonderful blogging experience thus far! Ah I love blogging basically for the same reasons you do! It's amazing how organised even the most unorganised person (read: me) can be when it comes to your passion! Haven't had this before, except back then when I used to dance 6 days / week and had a goal/dream to become professional. For sure, Jasmin! I completely relate- when you love something, even the laziest of people can become motivated! Yes, blogging is brilliant. ven though I still have some way to go, I enjoy thinking about how I have improved. Best Wishes !! I love being able to look back and see how far I've come with my blog, also! Blogging is just the best! I love that it is so self interactive. WOO! I love feeling as though I'm connecting with people (especially as my disability has isolated me so much). I also have been helping other with disabilities (so they've told me) so although my progress and numbers are still slow and low I am going to keep going and hopefully will get some notice from disability companies not only to get to try products for them but also would love to try and change some to make them less clinical and boring and more funky!!! These are great points to keep a consistent blogging schedule! I've been blogging on and off for the past 17 years, and I would have to agree that consistency is the key. It makes writing easier, your time management skills improve, and coming up with things to write about comes naturally. My biggest problem these days is TIME. I need to find time to blog! What a great topic to write about. I love blogging, it really helps center me, as well as helping me achieve my goals. This is a great post! I blog because it allows me to share the lessons I've learned. And it's a great outlet for any built up thoughts. Thanks for sharing your reasons! I've been loving the blogging community lately... especially on Twitter! I love that everyone is so supportive even if my "real friends" don't seem to "get it". I love blogging because I get to connect with awesome people like you!! I've just started my blog and it's always great to read things that inspire me to keep going! Thanks :). I enjoy writing and that's what I love most. WOHOOO! I love blogging too. A lot of things you have mention are also some of my reasons why I love blogging! It's amazing how you connect with other people and they are so loving and supportive of what you are trying to do! And just like you, I have learned so much about marketing, pinterest, html, analytics report, etc and it feels great to better myself. Totally agree with you with the goals. BASICALLY GREAT POST LOVE! I loved this list! The positive impact that blogging has for people is incredible, and I'm glad to read that you have had such a positive and growing experience since starting your blog. Yes, I love it! It's so nice to have your own little space where you can collect your experiences and thoughts! I love your style by the way:) Thanks for sharing! Yes I love this list! There is so many wonderful things about blogging don't you think?! I love the engagement with other bloggers, making 'online' friends is wonderful! I really want to get on board with twitter chats, but I'm honestly so unsure on how to parcipatate in them? Like who are you supposed to 'reply' to? And are you just allowed to join or are you invited? I agree with every point! I love blogging for many reasons, it allowed my to express my opinion and find like-minded people to connect with. It enhanced my creativity and writing skills, which are two very important things in my opinion. I love it too! For me it is interesting to see how my audience responds to what I write. I mean there are times I have written something awesome (to me) and it wasn't as much (to them). Through blogging I got to know what my strong points are! These reasons are so legit. I started blogging because I wanted to say what I wanted to say, that's it :D And that helped me in so many other ways. There is always some bonus advantage. I started blogging so I cannot say that many things have change so far. I am still in the learning curve. ahhh i love this! i totally agree, my insta has never looked better and the community of people i've met have been absolutely amazing!! i had no idea what I was getting when i sstarted blogging but i feel like a hit the jackpot! It's so fun! Blogging is hard at first but soon its going to be fun. Good to have read your reasons, they are definitely cool. I just started blogging because I love to write but have discovered a wonderful blogging community out there as well! So, I too share many of the same reasons here with you :) Thanks for posting! Sara, your blogging passion is evident! I'm just starting to blog (about life and encouragement from the Christian faith) and have had a lot of fun reading other blogs and learning from other bloggers as well. Looking forward to continuing to grow in this craft! Blogging can be so therapeutic - I agree with all your reasons. What a great post! I love blogging too! It's a creative outlet for me to share my ideas with likeminded people and I love being able to help people with their problems. Love these reasons and I would totally agree! i think your number one would be my number one too. This is my first year blogging and i just love it . I feel so encouraged and empowered. My writing skills are getting better too. Loving all of these positives! It's refreshing to hear! Yes! Blogging is really an amazing and exciting journey. It maintain also your positive mindset and always motivated of anything that life will bring. I love taking pictures of the moments and notice every single things that I can see in those. That is exciting for me. I totally agree with you on improved writing skills. Also love building relationships and meeting new bloggers! It's hard work but it's worth it right? 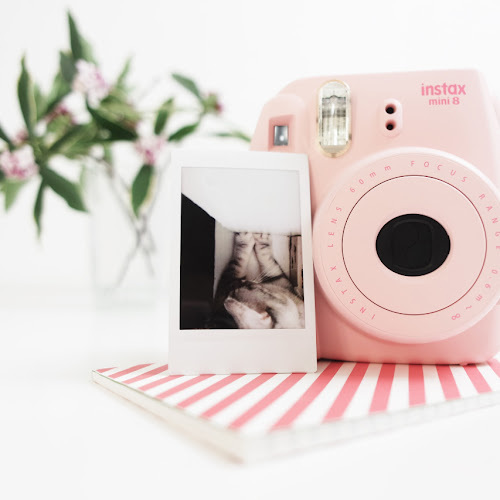 Your instagram is surely beautiful! Keep it up! I love blogging for the same reason as you do. I see it as my quiet spot where I can share whatever is on my mind. Love love love all of these points but especially number one! 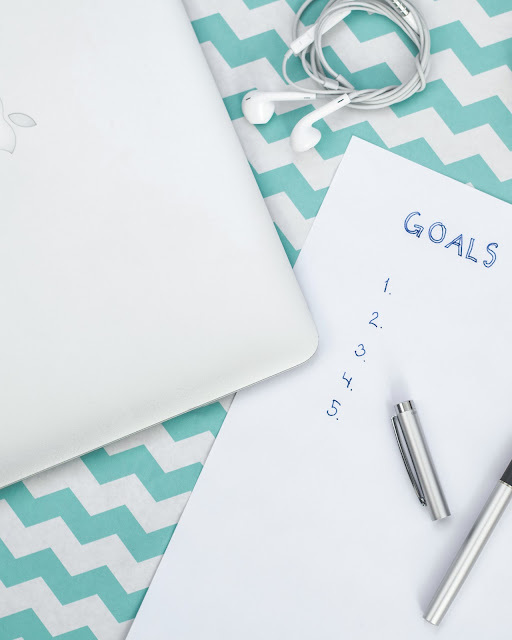 I love setting goals for myself and blogging is my way I can do so! Love this!! Here's to your little corner of the blogging world. Loved loved reading this!!! Blogging gals warm my heart. If it wasn't for the blogging community I don't know where I'd be because I've gained so many connections & experiences. I literally have grown up in the blog world because I started my first blog beforey freshmen year of HS. I love blogging too! Creating content is so fun for me. I love how blogging has connected me with so many like minded women. It's also a creative outlet. I love inspiring other's outfits and that's what I hope I achieve with my blog! I agree. It definitely has helped me with my writing as well. Even my kids want their own blog now. I love blogging! It's such a great way to connect w/ other! Twitter chaats are a bonus with it!